So how much does a Sun Conure cost? You can expect to pay $400 to $600 when initially buying an adult Sun Conure, with the average price being around $500 for an adult. The looks of the bird is one of the primary factors in how expensive the bird will be. Birds with fancy and vibrant feathers will be worth more than those with odd marks on their feathers. However, occasionally a bird might have a unique feature that makes them look particularly attractive, in which case the price of the bird will shoot up. Pairs of sun conures for breeding might be sold at a discounted rate compared to if you bought 2 sun conures separately. 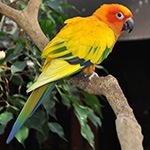 The mixing of Sun Conures with other species of conures will create mixed breeds. If you want to ensure the sun conure is a pure breed then you’ll need to perform genetic testing of the bird, which also can look out for genetic diseases. After buying a Sun Conure you’ll need to also consider purchasing a few pieces of bird supply equipment. These costs can add up over the lifetime of the bird. Bird Cages for Sun Conures will need to be be at a minimum the following size – width: 25″, depth: 32″, height: 35″. To buy one of these cages you’re likely to end up paying $80 to $150, depending upon the quality and size of the cage. Conure toys should be added to the cage to keep them entertained. These will set you back a further $10 to $20. Perches may be required which will also set you back another $10 to $20. A travel cage for your conure is recommended so that you can take the conure to and from the vet in case of an emergency. This’ll cost $50 for a small travel cage at a minimum but you’ll probably need to pay more. Medical costs and checkups can be expensive so we recommend signing up for some type of bird insurance to keep your bird covered. 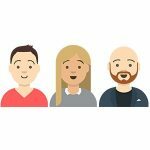 This coverage is usually charged as a monthly fee. Food and cleaning supplies are a monthly expensive which will cost you around $20 a month. Baby sun conures can be bought for a cheaper rate as they will need a lot of maintenance and attention whilst they are still growing. They are also very vulnerable at this stage so it is not recommended. The best and most expensive time to buy a Sun Conure is after it has been weaned and resilient enough to move into a new environment. Older sun conures are also cheaper because they are usually from previous owners that have been unable to handle the birds (most likely put off with their loud shrieking sounds). These birds can be found in animal shelters and can be adopted for free if you can prove your worthiness and capability in looking after a bird. Male and female sun conures tend to be around the same amount. In the wild, Sun Conures have become endangered. This is partly due to people trapping these birds so they can be sold on the pet trade market. 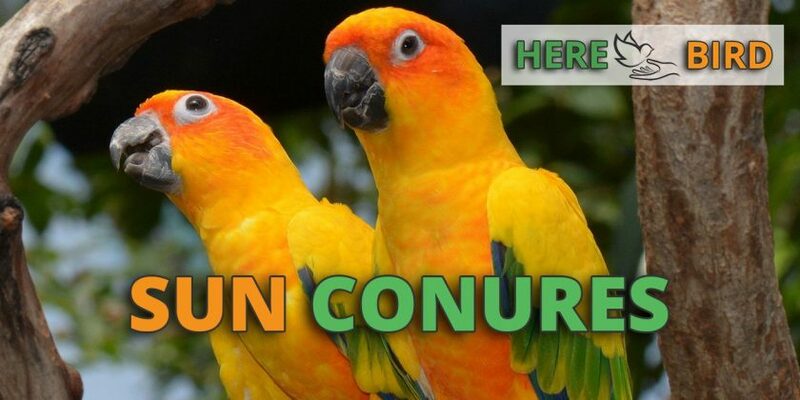 They are now banned from being sold on the international market and you should only buy a Sun Conure from a registered breeder that is within your own country. Look out for bird bands on the legs of the birds to see their legitimacy and report anything suspicious. Also, check the reviews of the sellers of these birds and the name of the company they are using to ensure they have a good reputation. Any prices that are exceedingly high or low (outside of the normal range of $400 to $600) should be taken with caution. High prices might indicate a scam unless there is a very good reason for the price tag (such as extra bird supplies being thrown in or genetic purity and health). Lower prices could indicate the bird has behavior problems or has a disease – or even worse, that the bird is being traded illegally. When and where to buy a Sun Conure? When buying the bird, you should check to see if any bird supplies are included in the sale of the bird. Otherwise, after buying the bird you’re going to need to purchase a travel cage to pick up the bird and also a primary conure cage to keep the bird housed. Some breeders will be able to ship your birds via an airline within your country, though this will incur additional fees. Before Christmas, prices for these birds will increase whereas after the breeding season the prices will drop when a large brood is available. How much energy and time does a Sun Conure take? The costs for Sun Conures also enter into the realm of your time and attention. These are very friendly and social birds that can be very adorable. However, they may require too much attention for most people and when they don’t get it this will be very noisy and squawk a lot. Because of this, you shouldn’t keep a Sun Conure in an apartment. To prevent bad behavior it’s recommended you let your bird out of the cage each day and provide it with a lot of interaction and time to exercise. This is a good time to practice training your bird so that is easier to deal with. Plus you’ll want to keep the bird socialized with other members of the family so that it does not overbond with you. You should also do a small daily clean of the Sun Conure’s cage and check that the bird feed and water is topped up. Whilst very fancy looking and friendly upon first glance, these birds can be a real handful to look after because they are so loud and require a lot of attention. Only take on these birds if you’re prepared to put up with a lot of shrieking and have the time and energy to deal with their neediness. For some dedicated bird owners, this can be worth it if you’re willing to put in a lot of effort. How Much Does A Parrot Cost? – see a full list of the prices for different species of parrots. Green Cheek Conures – a quieter and perhaps easier to look after alternative to the Sun Conure.